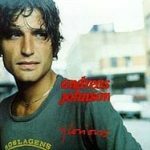 Glorious est une chanson publiée par le chanteur Suédois Andreas Johnson en 1999. Il est de l’album Liebling de Johnson sur le label WEA. La chanson a été un succès mixte graphique-sage, car il est resté en basse positions aux Pays-Bas, en Suisse, en Nouvelle-Zélande et en Allemagne. Toutefois, la chanson a culminé dans le top dix des charts en Italie et au Royaume-Uni. Glorious is a song released by Swedish singer Andreas Johnson in 1999. It is from Johnson's Liebling album on the WEA record label. The song was a mixed success chart-wise, as it remained in low positions in the Netherlands, Switzerland, New Zealand and Germany. However, the song peaked within the top ten of the charts in Italy and the United Kingdom.